NEW for Verse and Poem Lovers! 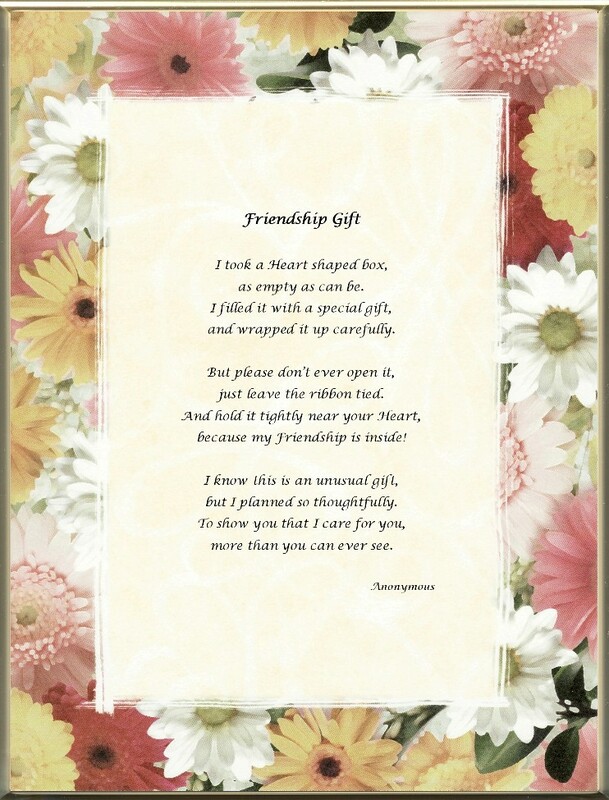 Now you can get a Unique, One-of-A-Kind,	Keepsake Poem of Friendship in Twenty-first Century style. This Lovely, 8½ x 11 inch, Custom Printed, Poem of Friendship has Mixed Daisies surrounding the border with a caramel colored insert with white swirls as the center background.